3. 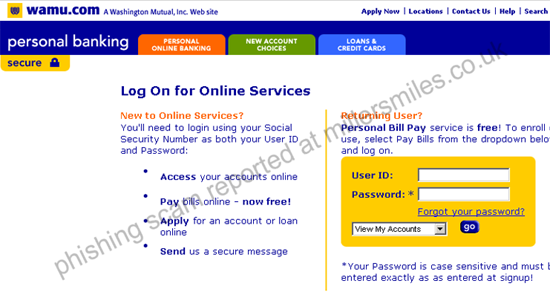 URL disguised as https://internetbanking.wamu.com/l - Looks secure (https) but it isn't! 5. Website traced to Atlanta, USA. 6. Bizzare return address also a giveaway this is a scam.
" 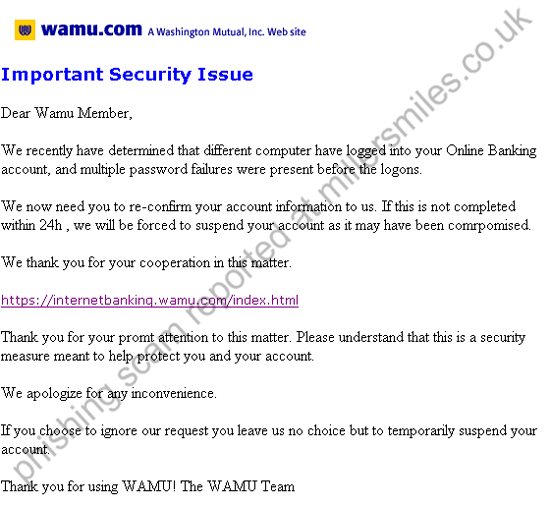 Dear Wamu Member, We recently have determined that different computer have logged into your Online Banking "